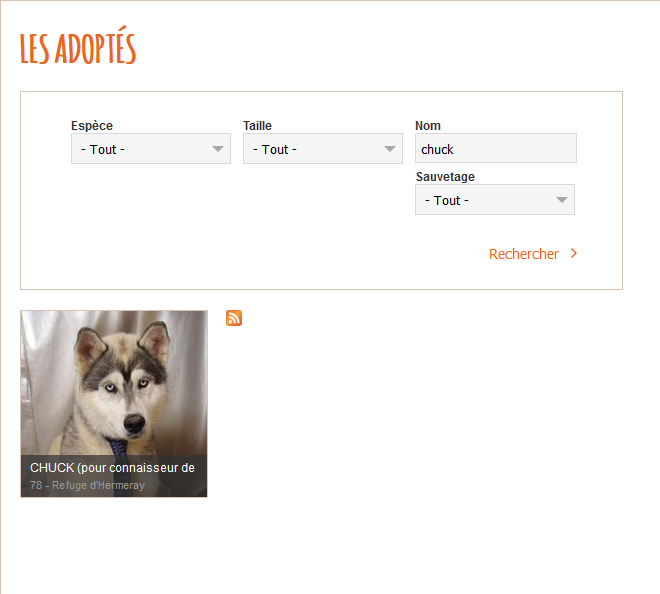 CHUK EST UN JEUNE CHIEN TRÈS ACTIF QUI DEVRA POUVOIR SE DÉPENSER SANS COMPTER. C'EST UN CHIEN QUI A TOUJOURS VÉCU EN PAVILLON MAIS QUI SEMBLE AVOIR ÉTÉ TRÈS PEU SORTI EN EXTÉRIEUR. LA COMMUNICATION AVEC LES AUTRES CHIENS DEVRA ÊTRE TRAVAILLÉE. IDÉAL POUR DES CONNAISSEURS DE LA RACE.